Schwervon! @ Harling’s Upstairs (KC, MO) Sat. June 7th w/ Mosquito Bandito + Mystery Date + Wick & the Tricks | Schwervon! 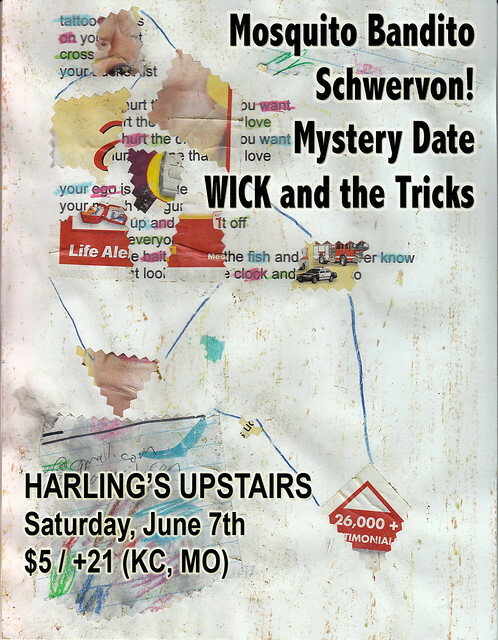 This entry was posted in Uncategorized and tagged harlings kc, harlings upstairs, kansas city live music, mosquito bandito band, mystery date band, schwervon flyer, Schwervon! Band, Wick and the Tricks. Bookmark the permalink.